Vsound is a revolutionary device that modifies the sound produced by an electric violin (or an acoustic violin fitted with a pickup), producing an output that matches the timbre and voice of a high quality acoustic violin. 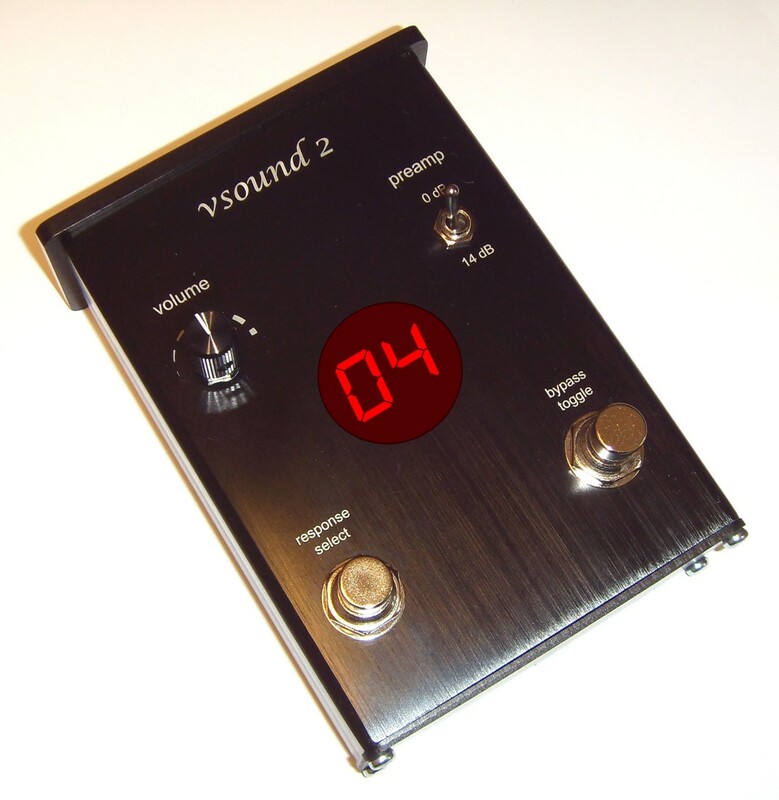 Vsound is complex piece of electronic engineering, but it is very simple indeed to operate. Simply plug the violin audio lead into vSound, plug the output from vSound into an amplifier or headphones, switch on and select a violin sound. Done. Vsound comes with a range of other functions for optimal performance including a gain-selectable preamplifier, volume control, a unique spectrum editor and an adjustable blender. The blender, which combines the original with the processed signal, extends the scope of the system for use with acoustic instruments fitted with pickups on the bridge. 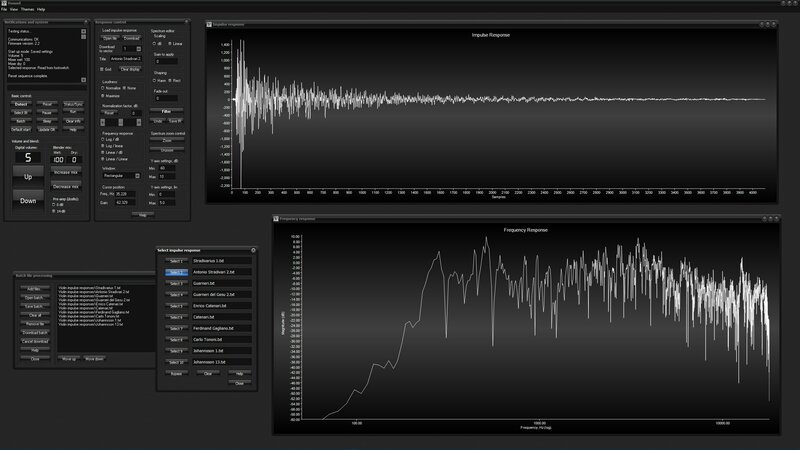 The spectrum editor is a particularly powerful feature, enabling precise customisation of the sound for optimal performance. This feature replaces the EQ in the older versions of the software feature. 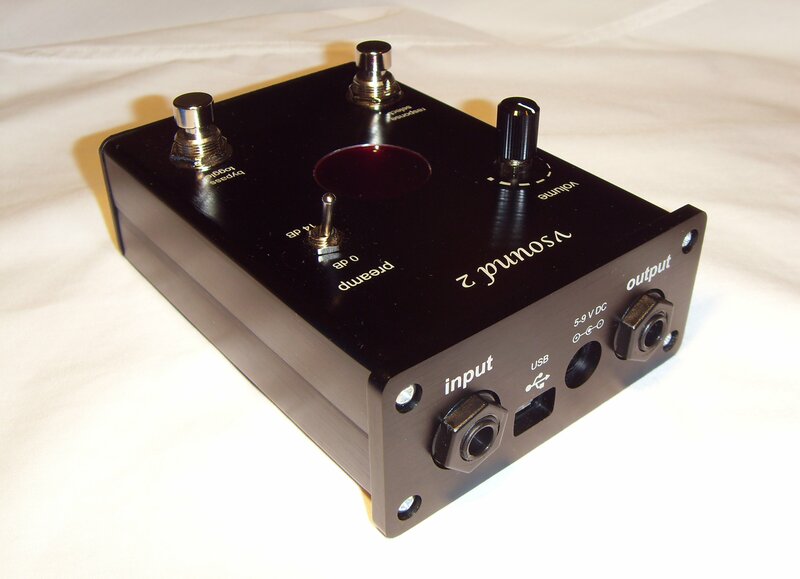 The unit can be controlled either from a computer using the software supplied, or directly from the footswitches on the top panel of the pedal. Vsound is supplied with pre-loaded violin impulse responses in its memory, and additional ones are supplied with the software. You can also download your own responses, or contact us to provide you with new or modified responses. Here at Signal Wizard Systems Ltd we are really excited about vSound and we hope you get many hours of enjoyment using this system. Click on the samples below. These demonstrate some of the violin impulse responses (also known as violin voices) that come packaged and preloaded with vsound. The first sample is taken from the Tchaikovsky violin concerto in D major, performed on an electric violin with no postprocessing. The other two samples have been generated by running the electric violin through the vsound system – one using a characterization from a Carlo Tonini, the other from an Antonio Stradivari. In both cases, the tonal quality has been enhanced and enriched, with the timbre of the wooden bodies completely transforming the sound of the electric signal. Further variations on these impulse responses can be introduced using the equalizers and blender, giving the user almost infinite control of the final timbre. Using the hardware, you can advance instantly from one voice to the next simply by tapping the left footswitch. By tapping the right footswitch, the unit toggles between the raw sound (bypass) and the processed version, so you get an immediate impression of how the sound has changed. You can also do this using the software. Connect the unit to the computer and open the “Select impulse response…” window. 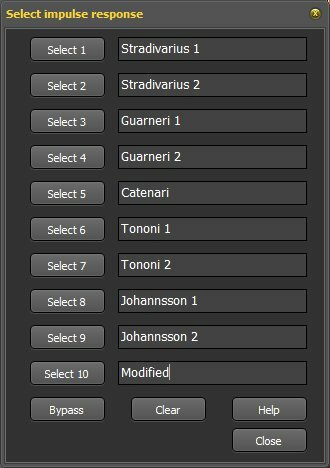 Choose from any violin voice by clicking one of the “Select” buttons.